It was fun talking to you today at the Quilt Festival. 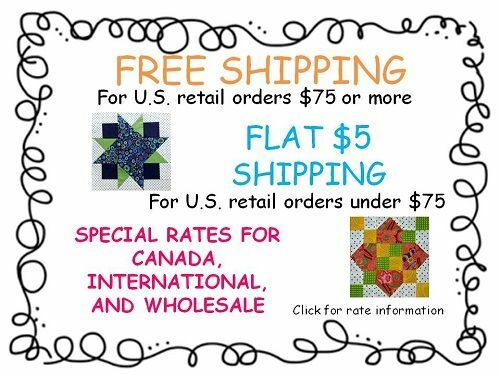 I really love your quilt patterns and the fabric that you choose. 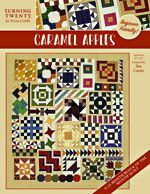 I began working on the Sunday School Singers Quilt after I bought the quilt pattern at a shop in Carthage, TX in March 2012, and put in the last stitch on Halloween afternoon. I wanted to give it as a gift to my daughter, Margaret. Her husband is a drummer for MercyMe and they are very involved in Christian music. Our whole lives have been filled with church music. Both my husband and I have been church organists and very involved in the music of each church we have attended. 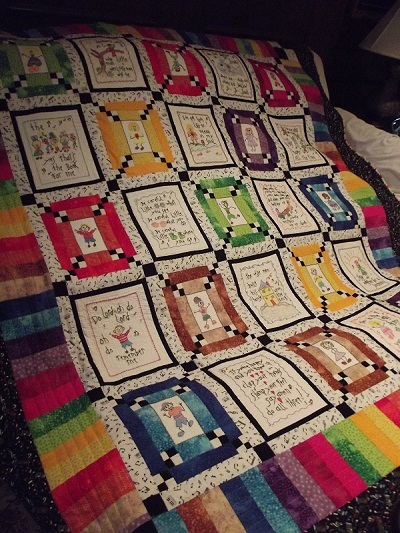 I really enjoyed doing the quilt. It is hand embroidered and hand quilted. I machine pieced it and did some machine quilting. It is a surprise for my daughter, and I can hardly wait to give it to her at Christmas. 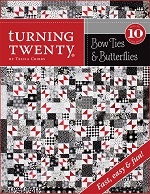 I know I will enjoy the next Turning Twenty quilt that I want to do. Last weekend I exhibited the quilt in the Trinity-Klein Lutheran Piecemakers Quilt Show. I was so excited when it won the Viewer's Choice Award at the quilt show. 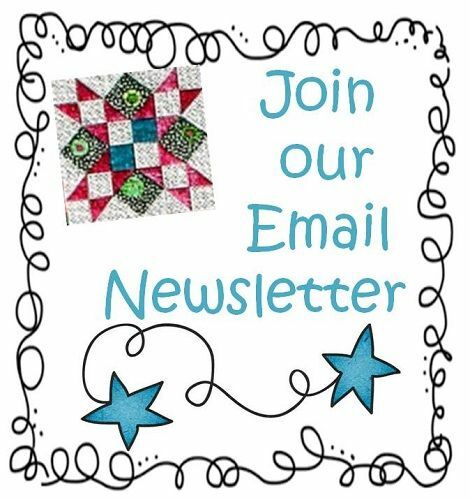 It's a free show and just for the enjoyment of those who love quilts and quilting. The Viewer's Choice Award is the only award given. 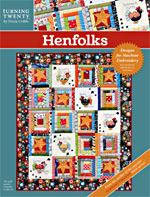 I am so proud of the quilt and especially thank you for creating such a happy and "singable" design.